By Miranda Marquit Leave a Comment - The content of this website often contains affiliate links and I may be compensated if you buy through those links (at no cost to you!). Learn more about how we make money. Last edited November 1, 2013 . One of the benefits of working for “the man” is that you often have the chance to invest in a tax-advantaged retirement plan. You can contribute using pre-tax dollars if you want, allowing your money to grow more efficiently over time. However, just because you are offered a retirement plan through your work, it doesn’t mean that you should make use of it. Before you start investing, take a look at what the plan offers, and decide if it’s right for you. One of the first things to look for is a high cost. How much are you paying for plan administration? It’s common to see retirement plans with these costs of between 1% and 2% per year, depending on the size of the company. However, some retirement plans charge more – up to 4%. High costs erode your real returns. You’re already contending against inflation and market conditions. Do you have to contend against fees as well? Consider looking elsewhere if the plan costs are high. Also look at the asset choices. Many employer sponsored retirement plans offer a variety of funds to choose from. These funds will have their own costs on top of the plan administration costs. Combine high cost funds with high administration costs, and you could easily lose out on thousands of dollars over the course of your working life. Think about your investing goals and your long-term financial plan. Do the investment choices offered by your employer meet your needs? Will you be able to get the asset allocation you need? Are there solid fund choices that allow you to meet your goals, whether they are growth, income, or something else? If you are too limited in your choices – and especially if you are required to keep a lot of your money in company stock – it might be a good idea to pass on the employer’s plan. Of course, you want to save for retirement, and you want to be able to get a tax advantage for your efforts. One way to do this is to open an IRA. 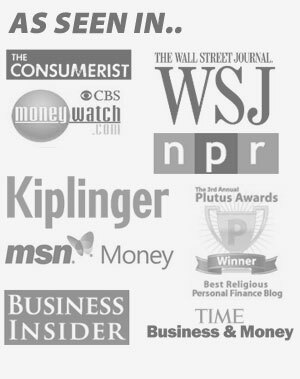 Anyone with earned income can open an IRA, and there are plenty of discount brokerages that will let you open and fund an IRA for a low cost. You can choose the investments that work best for you, and manage your future more effectively. 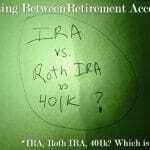 The downside to the IRA is that the contribution limit is much lower than what you would see with an employer sponsored 401(k). 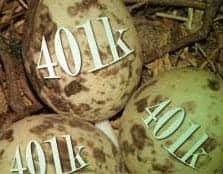 However, for many savers, especially if you start early, the contribution limit on the IRA ($5,500 for 2013) is still high enough to be sufficient. If it’s not, and you want to contribute more, max out the IRA and then put other money in your employer’s plan. This can be one strategy to follow if your employer offers a match. You can take advantage of the free money, but put more of your savings in an IRA. What do you think? When would you avoid an employer’s retirement plan?